Who wants to bet that Francis wears his favorite team’s jersey underneath his vestments like this Brazilian does? like Francis does in the Vatican? 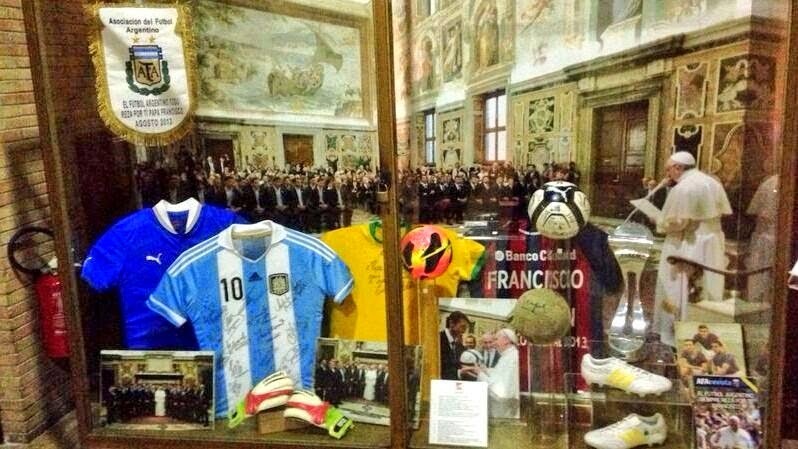 Francis loves his football as demonstrated by the shrine located in the Sala Regia.